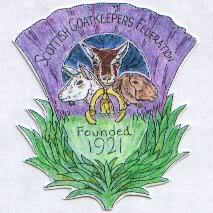 Just wondering what kinds of vehicles other goat keepers use to transport their goats to shows, or to the billy etc? I have seen anything from huge horseboxes to small vans. I have hired a van in the past to go to shows(I didn't tell teh hire company a goat was going to wee inside it of course) but whats the best type of vehicle? Oh my God, you wouldn't get away with that in this country - poor creature. Yes vans and trailer are the most popular, basically you need a vehicle that can be disinfected to comply with regulations. Happy transporting! Thats what I thought when I saw the picture too, seems cruel! Imagine a massive Anglo Nubian on your back though! A horsebox seems a good compromise provided you could remove all the internal partitions that have to keep horses confined......goats seem to travel well without any kind of restraint...I was amazed how Clover, Lily and Fern and Sasha all went into the back of the hire van that time when they went for mating. Even with them fighting a little with Sasha not one fell over the whole time. A horsebox would be great- I covet horseboxes on ebay. Trouble is we haven't even got room to park one let alone afford it! My mum likes to transport the milkers in the back of a van, because a van is sprung for people being in it, whereas a trailer isn't, so her theory is they get a much smoother ride which is better for them especially if they are milking heavily. We also have a Ifor Williams trailer (bought a new bigger one just before Christmas) which we can take them in. I have quite a big stock box with partitions. I use it for my ponies to so works well.